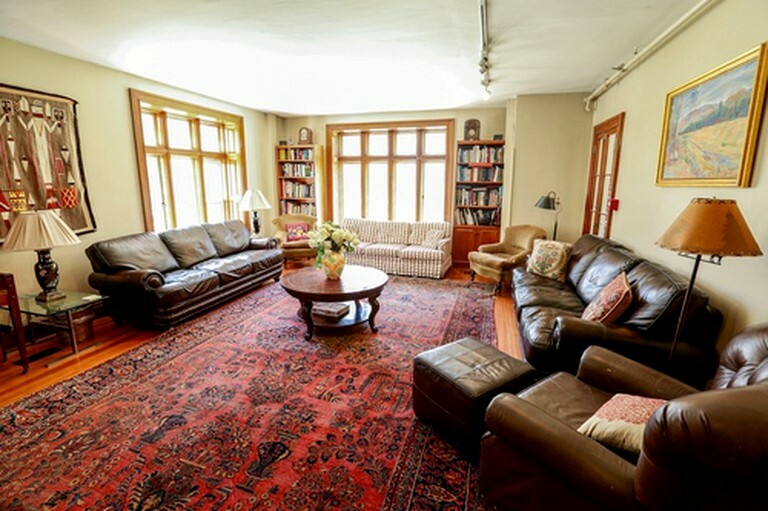 In this enormous and impeccable vacation rental for large groups in Vermont, up to 34 guests can stay at one time. The spacious living room has a huge flat screen TV, piano, games, and stereo system. 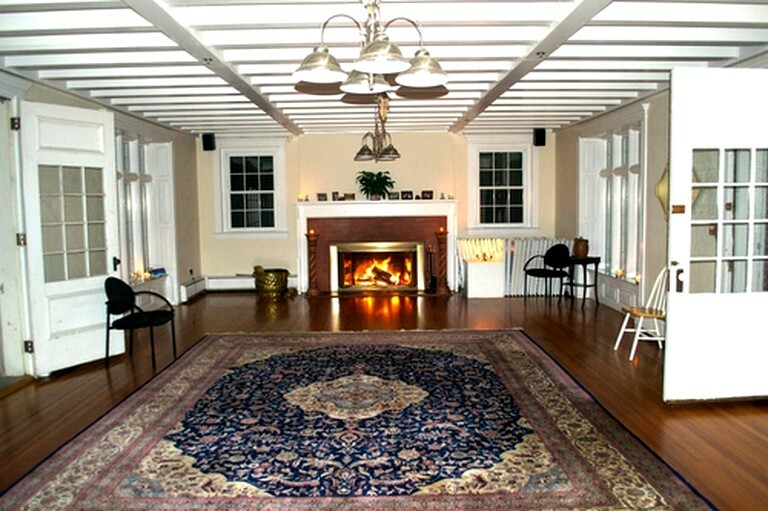 The ballroom can be a game room, yoga studio, meeting space, crafting room, wedding venue or banquet dining room. 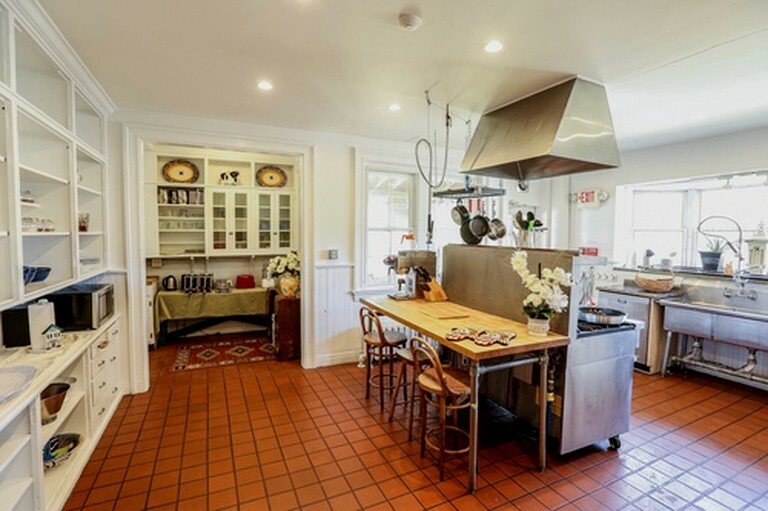 The commercial kitchen is ideal for cooking together. It boasts two ovens, 10 gas burners, two refrigerators, a dishwasher, and a large area for prep work. 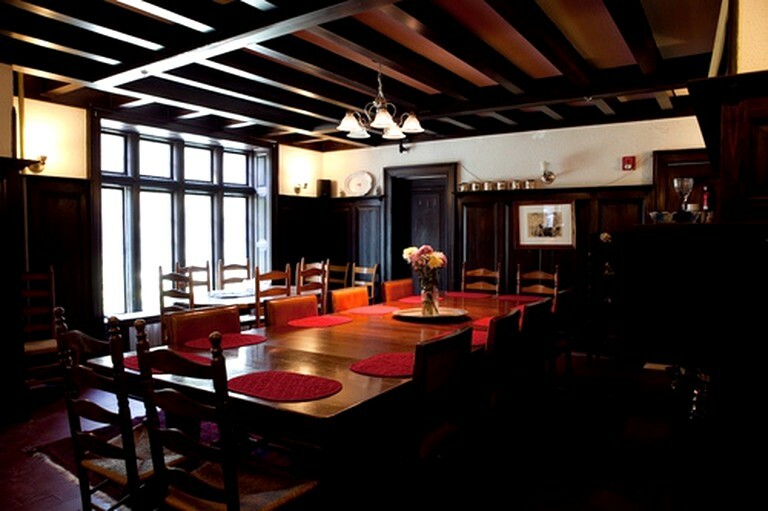 The wood-paneled dining room has two large tables for elegant group meals. An adjoining sun room is a children's dining room. Room 1: This tremendous bedroom on the second floor has two double beds and one twin bed, a large sitting room, and a private bathroom with a sunken marble tub. 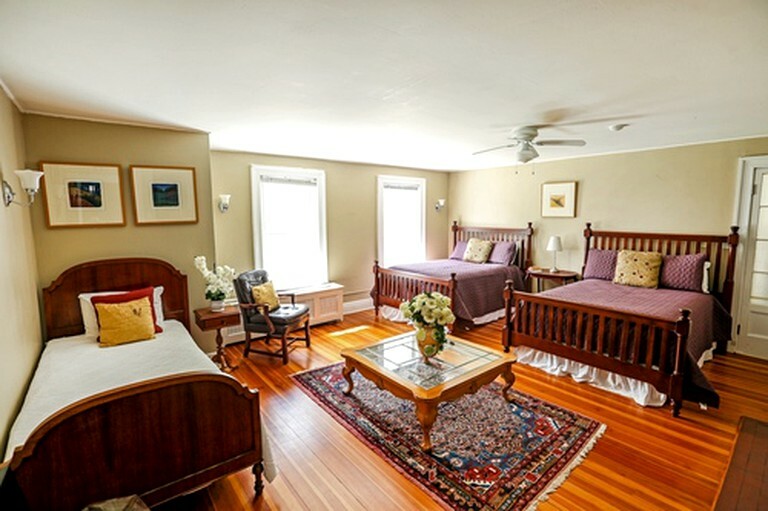 Room 2: This room on the second floor has two brass beds, one twin bed, and one double bed. There are wonderful built in drawers and a private bathroom with a shower. Room 3: This large room on the second floor has one queen-size bed and one double bed. There is a wonderful spa ensuite bathroom with double headed shower trimmed in Vermont marble. 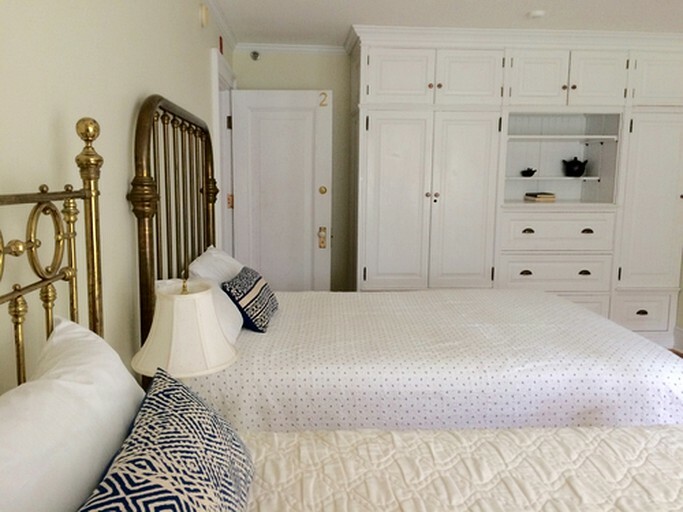 Room 4: This spacious and sunny guest room on the second floor features two double beds. There is a private bathroom with a shower. Room 5: This enormous room on the second floor has a wood-burning fireplace, a king-size bed, and separate sitting room. There is a private bathroom with a clawed foot tub and separate shower. 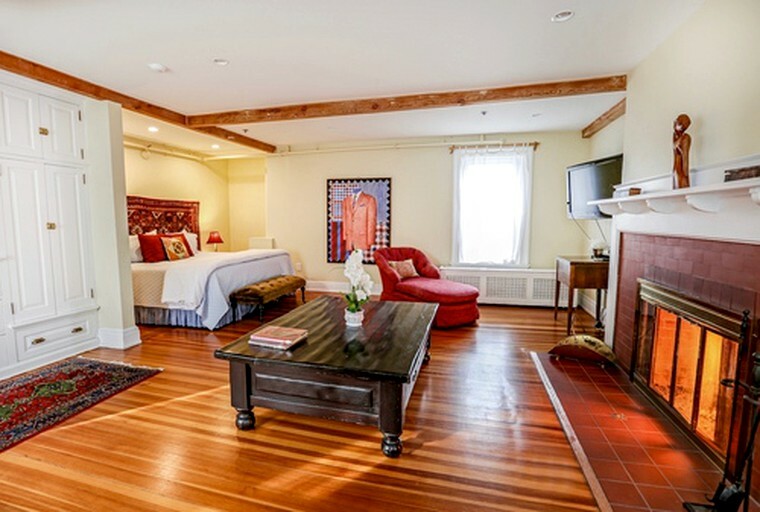 Room 6: This sunny room on the third floor features two double beds and a private ensuite bathroom with a tub/shower. Room 7: This double room connects and shares a bathroom with Room 6. 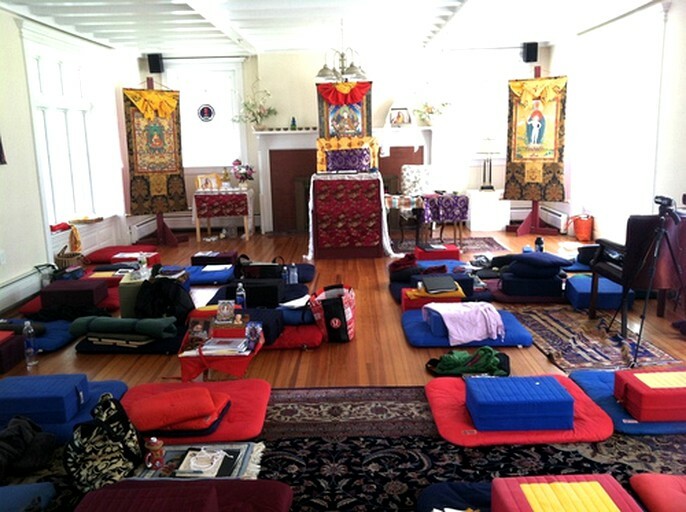 It is frequently used as the massage room for yoga and corporate groups. Room 8: This is a king-size bedroom on the third floor with high four poster bed. There is a private bathroom with a Jacuzzi. Room 9: This is a small queen-size bedroom on the third floor with a private shower bathroom. 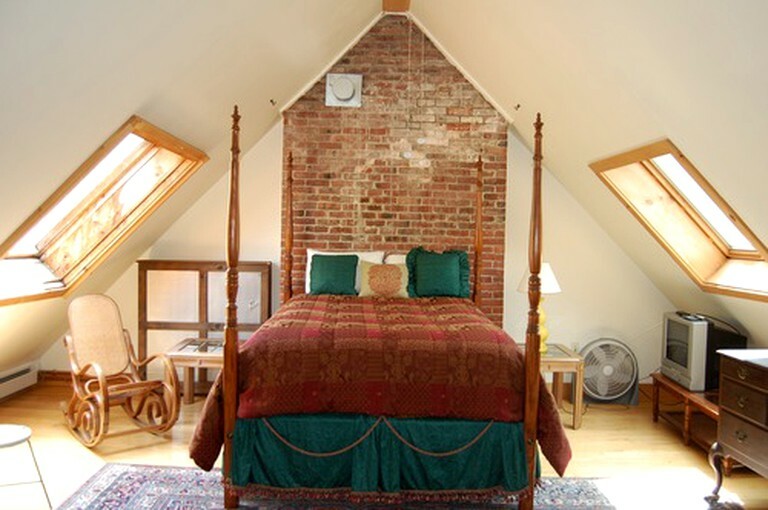 Room 10: This third floor bedroom has two double beds in a room with eaves. 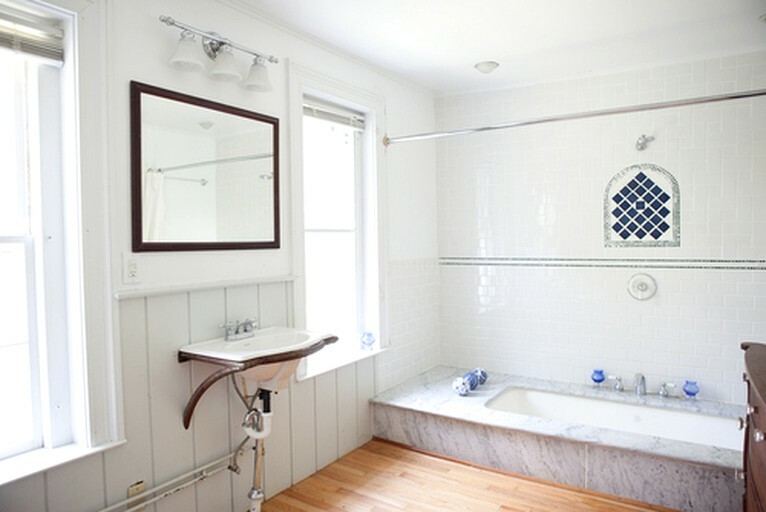 There is a lovely private bathroom with a tub and separate marble trimmed shower. Room 11: This room is a great kids room with a bunk bed. Petite women might be comfortable in this bed but it is not for adult males. Room 12: This additional kitchen on the third floor has a pull out single size couch. Amenities at this property include complimentary Wi-Fi hotspots throughout the property, complimentary coffee and tea, seasonal afternoon refreshments, phones with free local calls, cable television, air conditioning, local and national magazines, free Vermont and area maps, easy on-site parking, and more. Various packages, including a romance package and a family reunion package, are available. Please inquire with the hosts for more details. Discover the great outdoors at this ample glamping property. 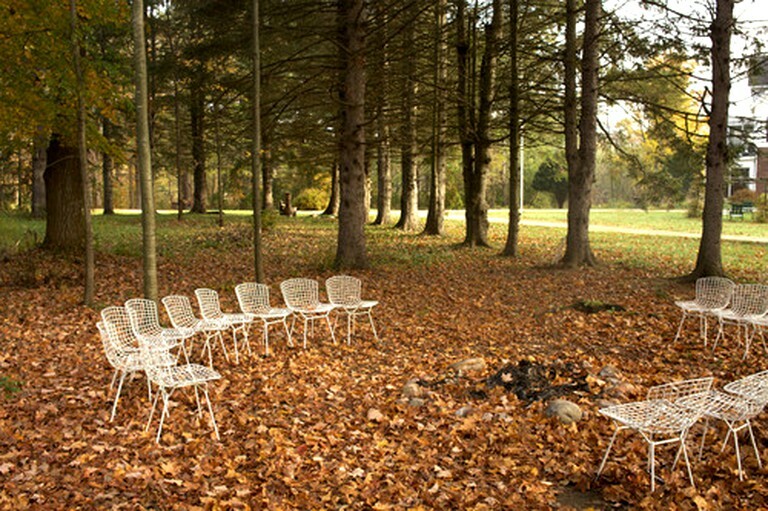 Beyond biking, jogging, and exploring the 30 private acres that belong to this property, Manchester Village offers an abundance of outdoor activities for every season. The property features an outdoor swimming pool, a tennis court, a basket ball hoop, tether ball, and safe places for kids to bike. In the winter, glampers can cross country ski right on the estate. 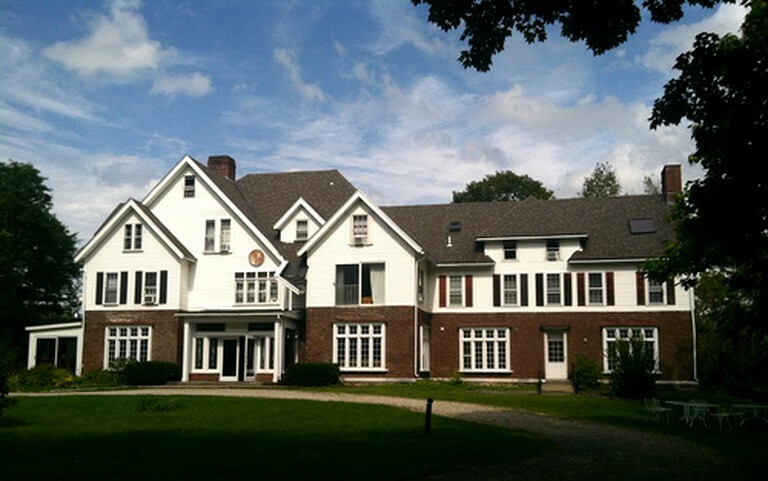 In summer, the property offers golfing packages with Equinox Golf Course and Manchester Country Club. Enjoy the Apline Slide and Zip Line at Bromley Mountain's Adventure Zone. Rent kayaks, canoes, and inner tubes to raft down the Battenkill River. Emerald Lake is a great place to rent paddle boats and enjoy a family lakeside day. Jump off 20-foot cliffs at the oldest marble quarry in Vermont, which is now an amazing place for a swim! Rent bikes too. Discover hidden waterfalls and swimming holes, enjoy family hikes, and back-country horseback riding at Mountain View Ranch. The hosts also highly recommend exploring the area with the local Back Road Discovery Tours group. In fall, there's no better place to take in the foliage than this glamping destination.The mountains are ablaze, and guests can take in the dramatic foliage colors with hikes around Equinox Pond and Lye Brook Falls. Drive up Equinox Mountain for a stunning view of Vermont, New York, and Canada! In winter, enjoy downhill skiing and snowboarding at nearby Stratton and Bromley Mountains. The hosts would be happy to help arrange horse-drawn sleigh rides with Taylor Farm. In spring, enjoy maple syrup festivals, open crafts studios, and walks through the charming village of Manchester. This property is pet-friendly. Dog fees are $40 per night per pet in the suites and $125 per length of stay per pet in the free-standing accommodations. Pets must be kept in a crate when unattended. Please be respectful of other guests, and do not leave dogs that are prone to barking. The hosts ask that guests leave their cellphone number, so they can be reached in case of emergency. Guests are responsible for any additional pet cleaning fees or damages. Bed and breakfast rates are based on double occupancy and include a full country breakfast for two. Additional guests sharing a room are charged an additional $25/night. There is no additional fee for children under the age of 10. There is a $10 charge for cots. These are non-smoking accommodation. Please throw out all cigarette butts in garbage cans or ashtrays.